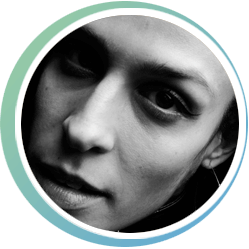 Dessa is a rapper, songwriter, essayist, and a proud member of the Minneapolis Doomtree collective. The Utne Reader calls her, “A one-woman powerhouse…with a literary sensibility and an aversion to genre clichés.” Her most recent album, Parts of Speech, debuted at #76 on the Billboard charts. Dessa has performed at nightclubs, theaters, and festivals across North America including Lollapalooza, the Montreal Jazz Fest, and annual appearances at South by Southwest. On stage she’s wry, ferocious, and earnest in turn; her performative charisma has earned praise from critics throughout the US and in Europe. As a speaker, she’s lectured at colleges and universities throughout the Midwest, including a keynote presentation for the Nobel Peace Prize Forum. Dessa is represented by the Frances Goldin agency as a writer and by United Talent Agency as a performing musician. mixed choir, Difficulty : 3, chamber ens., large ensemble, 5-10 min.